Just Mirrors is an ideal pack for anyone wanting to make up – wait for it – yes, just mirrors! 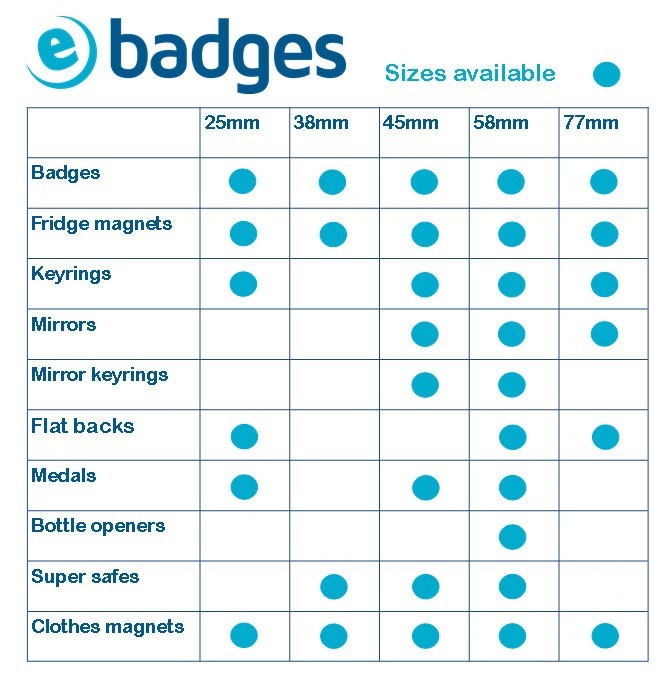 It includes our best-selling Micro badge maker, circle cutter and perspex cutting board. All you need to do is choose the size of mirror you want to make and how many. It’s as simple as that! If you already have a machine and only want to buy the mirror components, click here. We’ve put together two helpful videos to show you exactly how it’s done.